Presspop Toys dropped a set at SDCC that combines two angles of my youth into one that I couldn’t pass up. 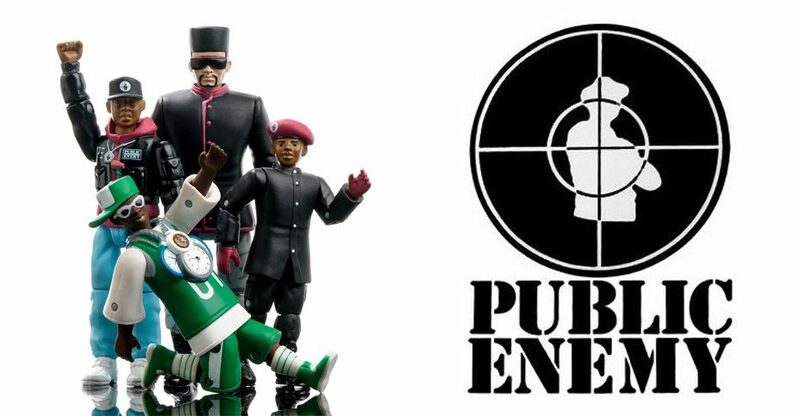 Public Enemy + Action Figures = Win. The set of retro styled 4 inch (ish) figures features basic articulation and artistic styling designed to give you a perfect little dose of PE on your shelf or desk. Chuck D, Flavor Flav, Terminator X and Professor Griff are all present in an awesome collectible box featuring art from Hip Hop Family Tree author Ed Piskor. Unfortunately I had to toss the box before traveling home from SDCC due to suitcase constraints, but you can see some on-the-fly shots inside. We brought the noise after the break with 35+ HD pics of the set!